You are here more than likely because you have a chicken health question. Are you desperate to find the answers as to what is ailing your chickens? Do you need to know why chickens do some of the things they do? We are here to help. During 2011 we have exceeded 1000 questions/answers in our library. We’ve heard from people all over the world, just like you. Our knowledgeable staff has been able to respond quickly to most questions. Visitors to Raising-Chickens.org are able to ask as well as answer questions creating a world-wide community of beginners to the very experienced at raising chickens. We’ve found that no matter the breed, the climate or method of keeping chickens, people have very similar chicken health questions concerning problems and situations in the chicken house and chicken yard. It is our goal to make sure you get the answers you need. To access our vast database concerning all things chicken, please click on our Chicken Sitemap. There you will find a complete listing of many subjects including your health questions. This is the quickest way to find the answers you need. Chicken diseases can be very contagious to other chickens and poultry. If you suspect that your chicken or chickens are sick immediately ISOLATE them from the rest of the flock until you determine the cause. It is not uncommon for a whole flock to be wiped out in a very short time. Please be aware that it is impossible for us to scientifically diagnose any specific disease or condition in this forum. 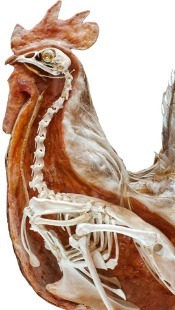 We always do our best to answer your chicken health questions, but in many cases professional veterinary testing and hands-on care are necessary, although many questions are answered thoroughly here. What we strive to do is offer the best information from those experienced in chicken health care helping you take the needed steps. Based on what you are able to tell us, we can make suggestions based on our experiences and hopefully help answer your questions. Anytime a chicken is acting sick it usually needs urgent care. Chickens will hide symptoms as long as possible to prevent drawing attention to themselves from the rest of the flock that may pick on them and predators. Be prepared for emergencies as it can take time, even for a veterinarian to answer chicken health questions fully. A lethargic chicken may benefit from a warmer environment if it’s cold outside. If it’s hot outside the chicken might be suffering from over heating, a cooler environment is needed, possibly a cool bath. It’s a good idea to keep a supply of electrolytes and vitamins for chickens on hand. Once alert, offering electrolytes and vitamins in water may give strength to a chicken that has become weak. Don’t offer liquids if a chicken seems unconscious as fluids can enter the lungs and make things worse. A conscious chicken will respond by swallowing when a single drop of liquid is placed at the tip of its beak. 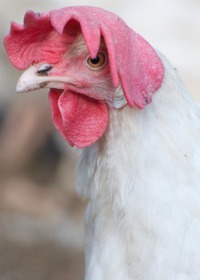 Many chicken health questions can be answered by fully reading medication instructions. When giving medications always follow dosing directions; remember some must be refrigerated between uses. When using heat lamps always make sure a chicken doesn’t get too hot and that any wiring and plugs are safe and the area is clear of flammables. Never use heating pads on high as it might cause skin burns. During and after antibiotic treatments replace lost digestive bacteria with pro-biotics. Don’t assume that any antibiotic will help; there are different types of antibiotics for different types of bacteria. Make sure any medications are labeled for chicken use and the problem they are having. Keeping the chicken coop cleaned on a regular basis can prevent health problems. Scrubbing out and disinfecting chicken waterers regularly ensures a healthy water supply. Chick walking upright-egg bound chick?